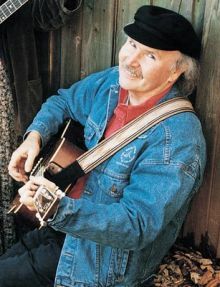 In describing Tom Paxton's influence on his fellow musicians, Pete Seeger has said: "Tom's songs have a way of sneaking up on you. You find yourself humming them, whistling them, and singing a verse to a friend. Like the songs of Woody Guthrie, they're becoming part of America." Pete goes on: "In a small village near Calcutta, in 1998, a villager who could not speak English sang me What Did You Learn In School Today? in Bengali! Tom Paxton's songs are reaching around the world more than he is, or any of us could have realized. Keep on, Tom!"